Tangail is one of the central city of Bangladesh. Tangail has a great historical background and one of the administrative districts of Bangladesh. To travel to this district by railway is the best choice for anyone. It is part of Mymensingh district. Train route is better than road network of this district. 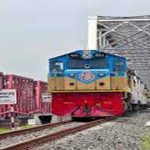 To make your journey cheerful here we try to give you all the information about Dhaka to Tangail train schedule. Hopefully, you will enjoy your journey! Here is the all train list which take a trip from Dhaka to Tangail. There have main intercity train services which take a trip to Tangail from Dhaka. 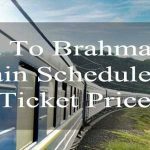 In the below, we have enlisted about all train details which you want at all. 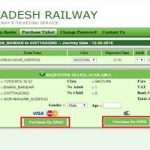 Mainly there is no selective train service for Dhaka to Tangail. But the other intercity trains which cross over this district to take the break. EKOTA EXPRESS: The number of this train is 705. This train started from the airport station. It starts the journey at 10.32 AM from there. This train service is not available on Tuesday. 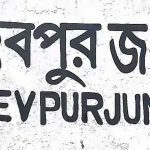 SUNDARBAN EXPRESS: The number of this train is 725. It starts its journey from the airport station at 6.52 AM. This train is not available on Wednesday. LALMANI EXPRESS: This train number is 751. It is not available on Friday. This train started its journey from Bimanbandar station at 10.42 PM. SILKCITY EXPRESS: 753 is the number of this train. It is an excellent train service for this route. It also started its journey from the airport station at 3.12 PM. This intercity train is not available on Sunday. 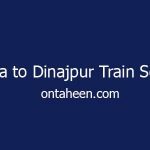 DRUTAJAN EXPRESS: 757 number train is Drutajan Express. On Wednesday one can’t enjoy this train service. 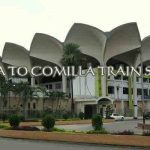 Wednesday is the off day for this train service. It started to journey from the airport station at 8.32 PM. 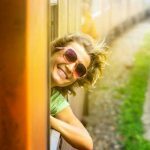 So if you are want to enjoy a splendid train journey at night then it’s a great option for anyone. PADMA EXPRESS: It is 759 number intercity trains. Tuesday is the off day of this train service. It started at 11.42 PM from the airport station. CHITRA EXPRESS: The serial number of this train is 764. This train service is not available on Monday. At 7.32 PM it started its journey from the airport station. NILSAGAR: It is a best option to journey in the morning. The number of this train is 765. Its service is not available on Monday a week. It started at 8.40 AM from the airport station. DUMKETU EXPRESS: Dhumketu Express also take a trip at morning time. It started the journey at 6.32 AM from the airport station as like all. The number of this train is 769. It is not available on Saturday. 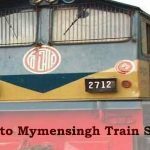 RANGPUR EXPRESS: The number of this train is 771. Its service is not available on Sunday. It’s a morning train service. At 9.32 AM it started its journey for Tangail from airport station. 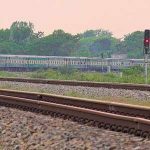 SIRAJGONJ EXPRESS: It is the last intercity train service which takes a trip from Dhaka to Tangail. This train number is 776. Mainly its make trip from Dhaka to Sirajgonj. It started the journey at 5.32 PM from the airport station. This train service is off on Sunday. Here are all details about to return train schedule from Dhaka to Tangail. EKOTA EXPRESS: The return train number is 706. It started from Tangail at 5.42 AM. It arrives in Dhaka at 8.10 AM. It is almost 3 hours journey. This train service is not available on Monday. SUNDARBAN EXPRESS: The number of this train is 725. It starred journey from Tangail on midnight at 3.30 AM. it arrives at Dhaka on very early in the morning almost at 5.40 AM. But on Tuesday this train service is not available. LALMANI EXPRESS: Except Friday this train is available for all time on a week. The train number is 752. It started the journey from Tangail at 6.47 PM and arrives in Dhaka at 8.55 PM. SILKCITY EXPRESS: The number of this train is 754. This train started at 11.08 AM from Tangail and at 1.30PM it arrives in Dhaka. On Sunday this train is not available at all. 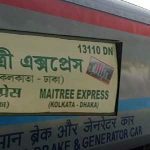 DRUTAJAN EXPRESS: It starts from Tangail at 4.08 PM and arrives in Dhaka at 6.10 PM. On Wednesday this train service is not available. The train number is 758. PADMA EXPRESS: With the exception of Tuesday this intercity train is available almost all day on a week. At 7.30 PM it starts the journey from Tangail and at 9.40 PM it arrives in Dhaka. CHITRA EXPRESS: The number of this train is 763. On Monday its service is not available. It starts from Tangail at 3.30 PM and arrives at 5.40 PM in Dhaka. NILSAGAR EXPRESS: 766 is the serial number of this train. It is not available on Sunday. It starts the journey from Tangail at 4.50 AM very early morning and arrives at 7.10 AM in Dhaka. 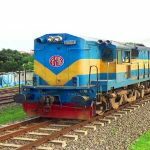 SIRAJGONJ EXPRESS: This train service is not available on Saturday. The number of this train is 775. It starts the journey at 7.58 AM from Tangail and arrives at 10.15 AM in Dhaka.